Till the turn of the century, treatment of hyperglycemia in Type 2 diabetes was limited to two main classes of oral agents: sulfonylureas and biguanides. 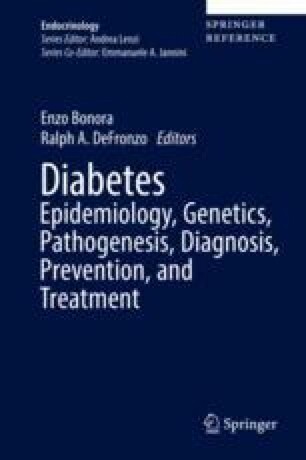 In the meantime, better understanding of the pathophysiology of hyperglycemia in Type 2 diabetes has been gained and the identification of several pathogenitic mechanisms has enabled moving from serendipitous discovery – as for sulfonylureas and metformin – to the development of agents with more targeted modes of action. Current guidelines concur in recommending metformin at diagnosis of diabetes. Selection of the second drug therapy should be made on the basis of an educated process tacking into consideration efficacy, risk of hypoglycemia, effect on body weight, costs of different drugs, as well as patient’s characteristics. With more clinical data generated, other features of the available oral agents should be taken into account such as durability, predominant effect on fasting vs. postprandial glucose, as well effects beyond their glucose lowering capacity. Food and Drug Administration. Safety Alert on Canagliflozin, issued on Oct 10th 2015. http://www.fda.gov/Safety/MedWatch/SafetyInformation/SafetyAlertsforHumanMedicalProducts/ucm461876.htm. Last accessed on 3 Aug 2016; http://www.ema.europa.eu/ema/index.jsp?curl=pages/medicines/human/referrals/SGLT2_inhibitors/human_referral_prac_000052.jsp&mid=WC0b01ac05805c516f.